Being a grandparent can be one of life's most fulfilling roles, one that benefits both you and your grandchildren. Grandparents can share valuable life lessons with their grandchildren, enjoying a nurturing relationship without many of the day-to-day burdens of parents. Grandchildren, in turn, can gain a sense of family history and belonging as well as receive a special kind of love that differs from the love they get from their parents. At the same time, the role of grandparents can be tricky. It can be hard to find the right balance between being involved and being over-involved. "The key is to find your place in the family. You must fit into the family culture, rather than challenging it," says Gayle Peterson, PhD, a family therapist specializing in family development, in an article on nuturecenter.com. Respect the parents decisions of your children: Know their rules and be willing to enforce them. Support your grandchild's parents from the beginning: Welcome your new in-law as family and establish a good relationship with him or her. Make time for your grandchildren: Do projects together. 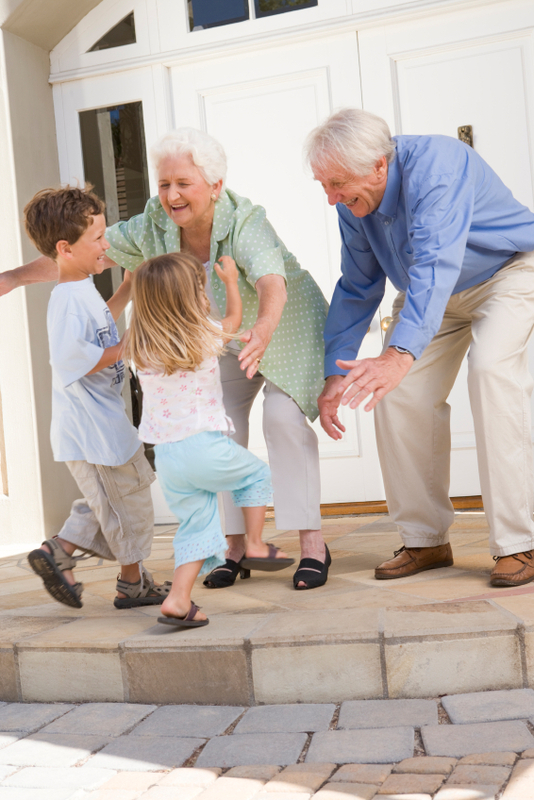 Share your hobbies and learn about the activities your grandchildren love. Travel with your grandchildren if possible, whether for a day trip or longer excursion. Keep in regular contact with your grandchildren. Use phone, email, and video chatting to stay in touch when you can't get together in person. Accept that you may have made mistakes in parents and that your children will as well. Know that child-rearing styles change with each generation. Help out whenever you can, but not so much that you resent it. Maintain balance in your own life. Don't try to be the parent. Don't try to buy affection. Don't offer unsolicited advice to the parents. Don't "compete" with other grandparents. Jerry Witkovsky, a social worker and former general director of the Jewish Community Center of Chicago, focuses on the third and fourth bullet points of the Do's list: sharing experiences with grandchildren and keeping in regular contact with them. Founder of Grand Consultants, he is currently writing a book, entitled The Grandest Love: Inspiring the Grandparent-Grandchild Connection (XLibris Press). Witkovsky keeps a standard weekly phone appointment with each of his six grandchildren, who range in age from 10 to 30. He also asks them what subjects not to inquire about. Witkovsky urges keeping up with your grandchildren's activities so you can ask relevant questions and have meaningful discussions. For example, instead of asking "How's school?" see if you can subscribe to the school's parent newsletter. Or ask your grandchild for his or her English class reading list and read some of the books so you can discuss them together. "Grandparents and grandchildren have a responsibility to teach and learn from one another," says Witkovsky. "Grandparents can and should be a vital part of the family."